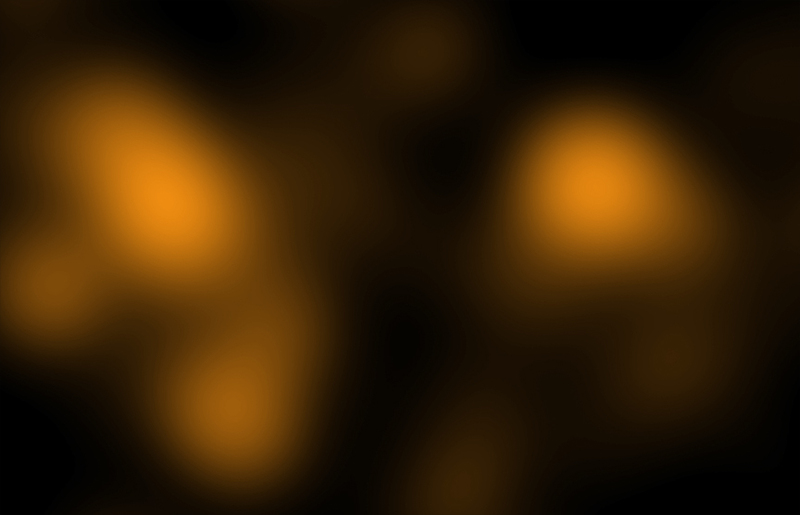 These images show the distribution of dark matter, galaxies, and hot gas in the core of the merging galaxy cluster Abell 520. 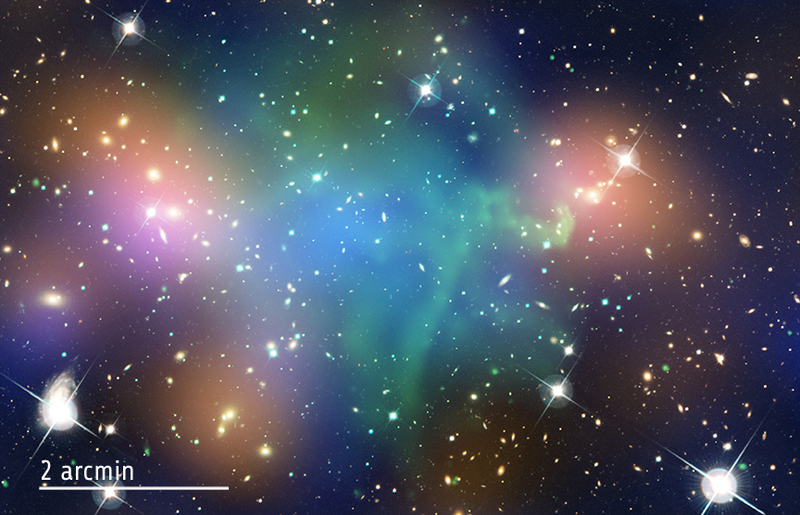 Data from Chandra (green) show the hot gas in the clusters and provides evidence that a collision took place. 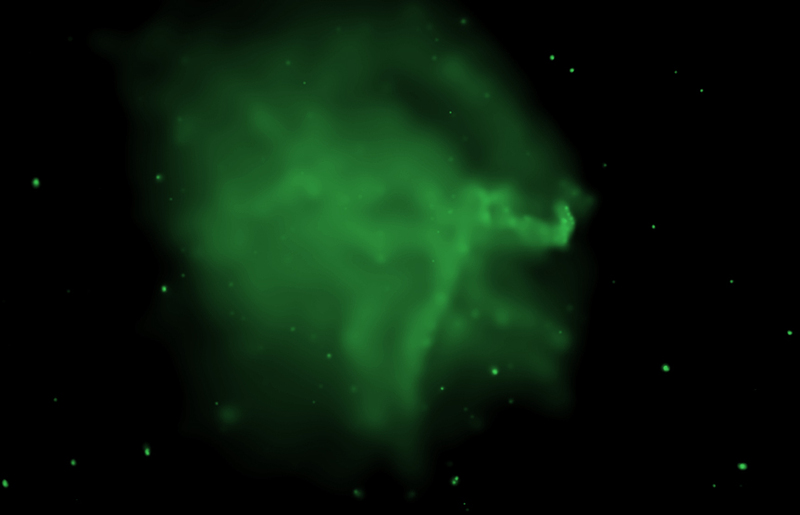 Optical data from Hubble and the Canada-France-Hawaii Telescope in Hawaii are shown in red, green, and blue. 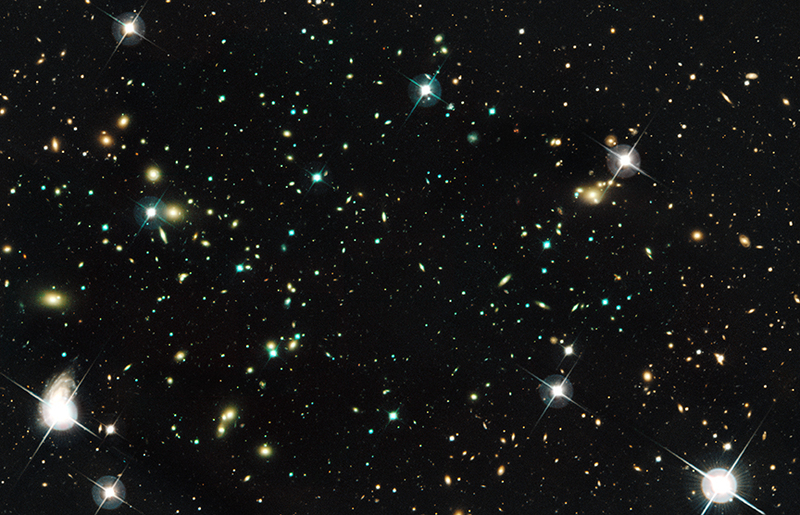 Starlight from galaxies within the clusters, which has been smoothed to show the location of most of the galaxies, is colored orange. 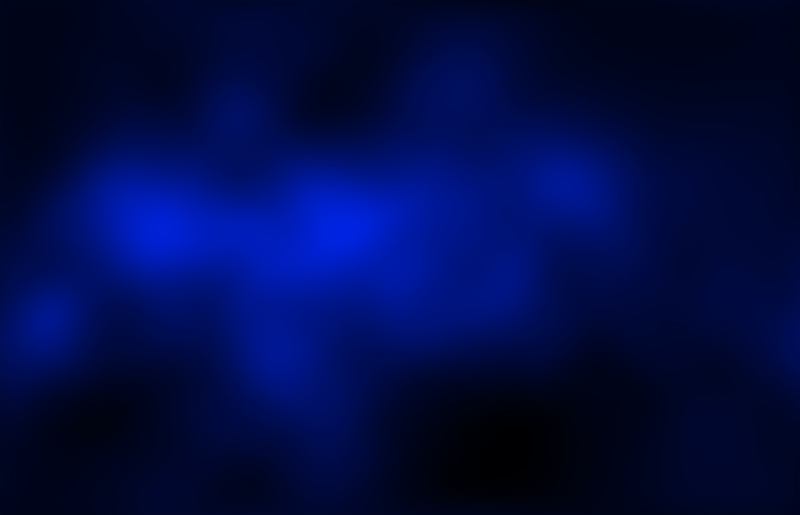 Confirming a previous observation, this result reveals that a clump of dark matter resides near most of the hot gas, where very few galaxies are found.